Haider Ackermann’s S/S ’11 collection Chic, different, edgy, controlled and right on the money. Beautiful. This is how I want to dress. Prestat’s Rose and Violet Cremes (£14) Well, it is ‘Chocolate Week’ from the 11th-17th October. Small indulgences make for a happy life, people. 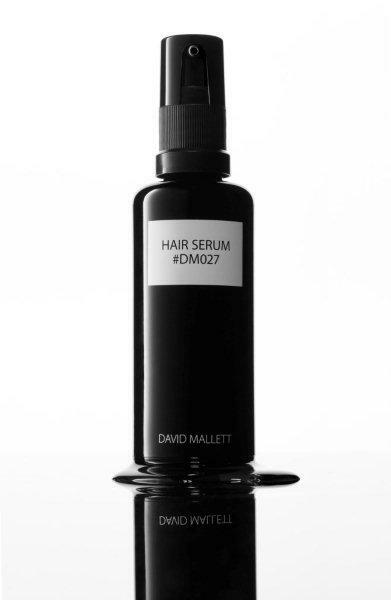 David Mallett (Paris) One of the chicest salons which I wish we could replicate in London. An ultra-luxurious and incredibly relaxed space which is a vast 17th Century apartment offering the perfect environment for consultation, styling and attention Mr Mallett is a perfectionist and attention to detail and precision is his oeuvre – his international reputation is exemplary. This salon is all about privacy rather than exclusivity. Clients, Sharon Stone and Isabelle Adjani would agree. redlegsinsoho.blogspot.com My brilliant, wonderful, intelligent, erudite friend’s ode to vintage blog where her patented nonsense ‘What kind of Vintage are you?’ test is nothing short of genius. This lady needs cocktails and fripperies and all too soon as she is obviously some kind of evil genius with far too much time on her hands. Love it! (I’m The Vintage Maven on the cusp of Rebel btw. Hmm, I can see quite a few of my vintage friends in these descriptions). Channel 4’s ‘Wedding House’ I hate weddings. Yes, I know they’re meant to be happy occasions but it’s always an excuse for people to wear lurid, ill considered brights, bad fascinators and be over made-up. Then, you end up making small talk with people you;d never want to normally socialise with and it’s all just too much. (*grinch face*) So, why in the name of all that’s Holy would I want to watch other people’s bad weddings except to pour scorn on people (not nice) or berate the production company for funding people’s dreams and my nightmares. Sheesh. Dark early nights And suddenly it’s Winter all over again. 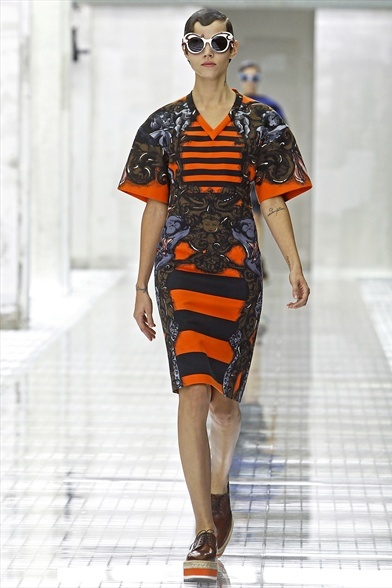 Prada’s S/S ’11 collection Bananas, monkey prints, lurid colours, big thick rugby stripes. For the first time ever, I’m out. What were you thinking, Miuccia? The X Factor (ITV) Haven’t bothered to tune in this season. Cheryl or Cher…whatever. Next post: Romano Ricci of ‘Juliette Has A Gun’ launches ‘Not A Perfume’.